If you’ve been to New York City within the past few years perhaps you’ve seen the statue of the Fearless Girl. 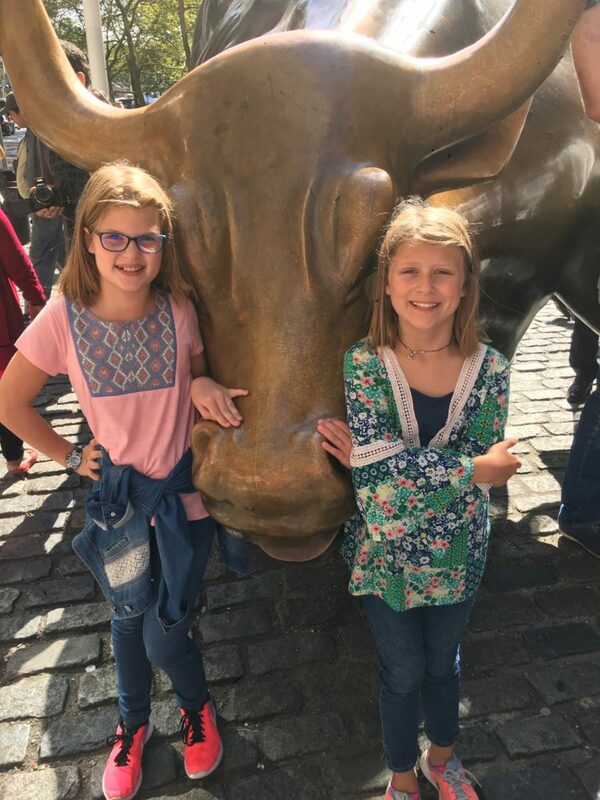 The statue depicts a defiant girl that was originally facing the Wall Street charging bull was meant to send a message to large corporations about workplace gender diversity. 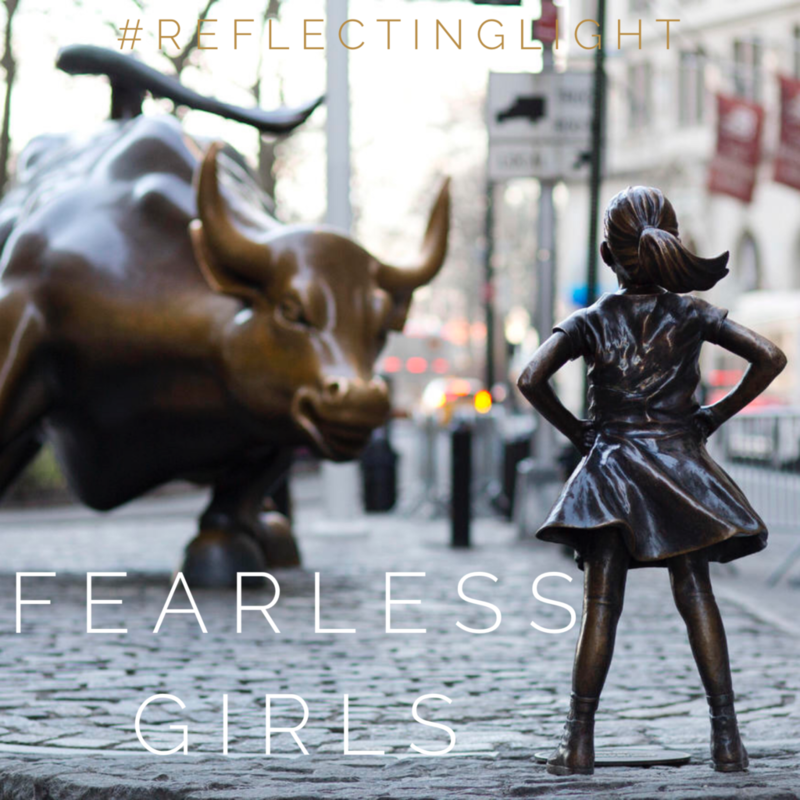 (The Fearless Girl has since been relocated to the New York Stock Exchange.) What started as a statement has now turned into a movement and has inspired the actions of a young woman last year. She dressed as the Fearless Girl and even went so far as to apply bronze body paint so that she fully resembled the famous statue. She then stood outside an advertising office until she was noticed by the upper management of the company and offered a chance to interview with them. I personally admire this woman’s bravery and perseverance to stand out from the crowd. As a mother of two daughters, I am constantly looking for ways to teach them how to set themselves apart from the world. I want them to be empowered to be fearless girls who can achieve whatever they put their minds to. But I also want them to know that it won’t be in their own strength that their dreams are realized, but it will be because they put their trust in the Lord. Psalm 112:7 tells us that we can be fearless because we confidently trust in the Lord to care for us. What is it that you need to hand over to the Lord today to take care of? A loved one’s salvation, a work situation, a concerning test result? Release it to Him today and stand up straight and tall as the Fearless Girl you are, hands on your hips, ready to take on the world because Your mighty God stands beside you. I have been to New York for my 80th Birthday a year ago, my children took me for a week. I saw the little Bronze girl and have pictures of me with her on Wall Street. Had a wonderful week in New York.I have the most wonderful Children, God gave me two wonderful gifts. Most wonderful Birthday I have ever had. April, I enjoyed hearing you speak at our ladies retreat at the Balboa Baptist Church in Hot Springs Village. Thank you so much. Wishing you a blessed day. Thank you for your sweet comment, Evelyn. I enjoyed being with you ladies as well! And what a fun birthday to celebrate in NYC. Much love to you!